The White team, led by Yaacov Norowitz and Mark Kernighan, won the Kenilworth Consultation Game - which began on 4/22 and finished last night. Java-replay and annotations will follow. 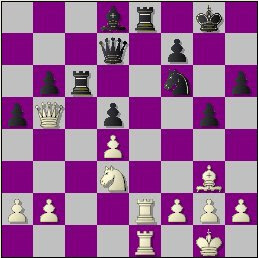 Heeding a request by The Kenilworthian, I have uploaded a replay page & PGN-file with the KCC's past consultation games; including the forgotten, November 2008 edition. Game adjourned until April 29th. The start of the Anand-Topalov World Championship match has been postponed to Saturday 4/24 at 8 10:00 a.m. EDT. 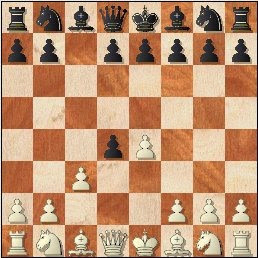 IM Mark Esserman will be visiting the Kenilworth Chess Club this Thursday (April 15th), to lecture on the controversial Smith-Morra Gambit. For an extensive bibliography on the opening in question, see Michael Goeller's recent post at The Kenilworthian. The World Championship match between Viswanathan Anand & Veselin Topalov gets underway on April 21st. It should be a good one! Update 4/15 @ 1:21 p.m. - The opening ceremony is on the 21st. The 1st game is Friday, April 23rd. Yaacov Norowitz won the last night’s blitz tournament in Kenilworth. Mauricio Camejo was 2nd, a half-point back. Lev Zilbermintz took 3rd. Fermin Arias grabbed the U1800 prize. The strong 16-player field featured 3 Masters and 4 experts. I directed and, in doing so, missed a tremendously important Sabres-Bruins game, Katharine Isabelle in Ginger Snaps and the latest Blueshirt Banter show on Blog Talk Radio. Ari Minkov edged-out Mark Kernighan by 0.05 point to win the 6th Checkmate CC Championship. For details, please visit the Checkmate CC site. 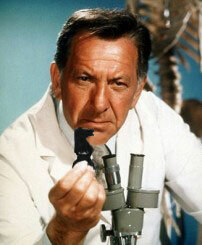 The migration from Blogger to Blogspot went very smoothly & I hope you like the Coroner's new look. My post-break plans are still up in the air but, with no U.S. matches on the horizon & me having zero interest in the 11-player ICCF Master tourneys, I'll probably resume posting here in early May. Until then, keep an eye on the Garden State & Checkmate sites for final standings of the 2009-10 season & 6th Checkmate Championship. Kenilworth's Kortchnois & Kramniks finished their campaigns on high notes, respectively edging league-champion Hamilton & the 2ndplace Karpovs by 2.5-1.5 scores. See the GSCL blog for details. The 2009-10 season wraps-up on Tuesday.